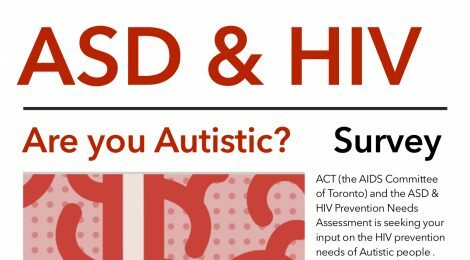 The AIDS Committee of Toronto and the ASD & HIV Prevention Needs Assessment Advisory Committee is seeking your input! This survey is open to all Autistic people diagnosed or self-diagnosed who are over the age of 18. In all countries.